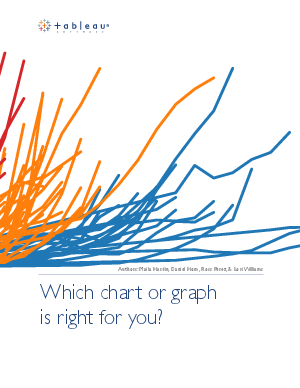 Home > Tableau Software > Which Chart Or Graph Is Right For You? You’ve got data and you’ve got questions. But which chart or graph helps you get to the heart of your goal? Lines, pies, maps, scatter plots, gantts, bubbles, histograms, bullets, heat maps, and highlight tables.